Elevated plasma triglycerides (TGs) are an indicator of increased risk of ­arteriosclerotic vascular disease. However, the relationship between atherogenesis and increased levels of specific TG-carrying lipoproteins is complex and ­convoluted. Several primary and secondary disorders cause plasma TG elevations. An increase in the risk of arteriosclerotic disease is observed in some of these disorders. Risk appears to be more strongly associated with concomitant alterations in high-density lipoprotein (HDL) and low-density lipoprotein (LDL) metabolism and with the accumulation of partially digested TG-rich lipoproteins, commonly referred to as “remnant” lipoproteins. 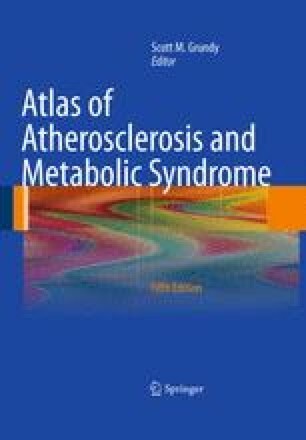 In addition, the association of hypertriglyceridemia with other risk factors, such as diabetes mellitus and high blood pressure, causes linkage to atherosclerosis in epidemiologic studies to be less clearcut.